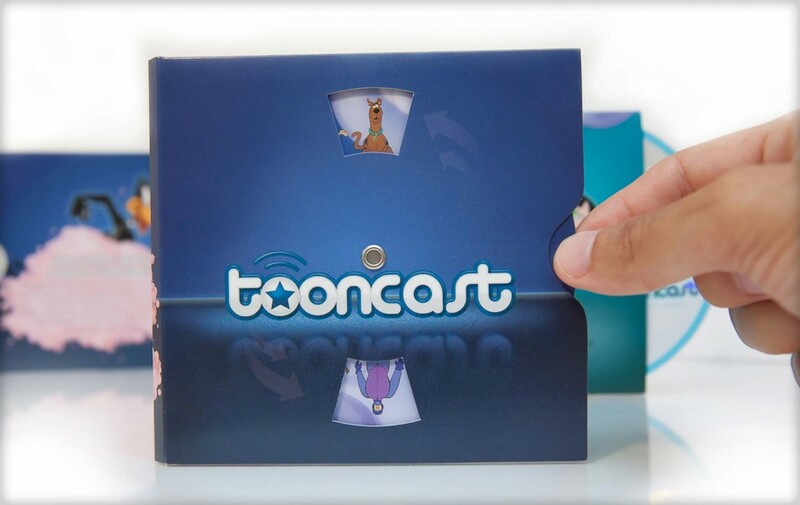 This multi-language sales and press kit was created for Tooncast, a cable network that is part of Cartoon Network Latin America. The kit was designed to align with the visual brand identity of the network and continued the frenetic motion and pacing of the on-air promotions. It contained a volvelle wheel of opposing characters that appeared regularly on the network, as well as a screener DVD and regional sales office contact information.